Moscow held the Sixth International Open Innovations Forum. The forum broke all previous records, bringing together over 18,000 participants from close to 100 countries. 650 speakers gave presentations over the course of two days, dedicated to business, the state, and society in general. 42 agreements, 24 of which entailed the participation of the Skolkovo Foundation, were signed within the scope of the business program. Some of these agreements concerned billion-dollar infrastructure projects such as the construction of a Skolkovo 5G network, while others provided for direct monetary investments amounting to hundreds of millions of rubles. A total of 911 business meetings took place at the forum, a 16% increase from last year. Forum participants included residents of Moscow technoparks. The city rewards these kinds of scientists with awards and grants, subsidizing equipment purchases and the development of innovation infrastructure. 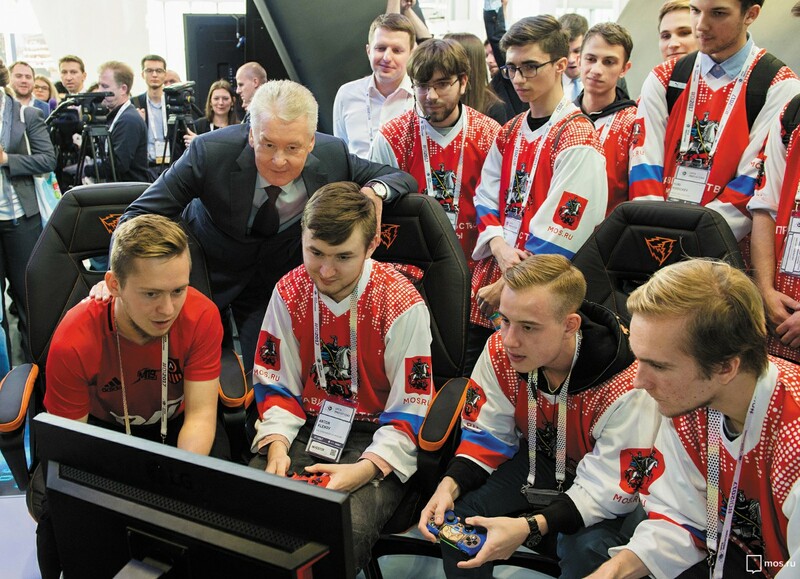 It’s no wonder that forum participants demonstrated their projects to the Mayor of Moscow Sergey Sobyanin during one of the forum days. A comprehensive innovation infrastructure that has become a driver of the city’s economic growth has developed in the capital over the past few years. As of today, Moscow’s innovation infrastructure includes about 1,500 sites. A Moscow Government Presidium meeting was dedicated to discussing issues related to infrastructure support. “There are a lot of enterprises and organizations in Moscow, tens, if not hundreds of thousands of people, from academic institutions to startups. Industry-specific institutions, private and state technoparks, scientific and industrial clusters that work in space, aviation, the nuclear and medical sectors are all engaged in innovative projects,” Sergey Sobyanin said. He emphasized that innovation is the foundation of the capital’s future economy. Moscow’s improved positions in national and international competitiveness ratings serve as confirmation of this fact. In late 2016, Moscow was ranked 43rd in a global rating of innovation cities by international rating agency 2Thinknow, rising from 192nd in 2011. Moscow also placed third on the national investment climate rating. There are over 400 production technology development centers currently operating in the city. “Entrepreneurs can use high-tech products to implement business development plans,” said Aleksey Fursin, Head of the Department of Science, Industrial Policy, and Entrepreneurship. Right now, the most important infrastructure sites for innovation companies are Technopolis Moscow and technoparks, the number of which has increased by five times over the past four years (there were six in 2014, and there are 31 now). The number of resident companies in technoparks also increased by almost four times (from 450 to 1748) and the number of jobs increased by 6.5 times (from 6,800 to 44,100). Technopark residents can rent space at attractive prices, get access to high-tech equipment and services such as clean rooms and labs for experiments. Another aspect of innovation companies is sharing experience with international partners. The International Association of Science Parks and Areas of Innovation (IASP) includes 374 technoparks from all over the world and 142,000 resident companies. After the 33rd IASP conference, which took place in Moscow in the fall of 2016, it was decided to create a Eurasian IASP division. The division includes 31 technoparks from Russia, Azerbaijan, Armenia, Belarus, Georgia, Kazakhstan, Kyrgyzstan, Mongolia, Tajikistan, Turkmenistan, and Uzbekistan. 18 of these technoparks are located in Moscow. The Moscow Export Center is the coordinator of the project. There are a total of 76 coworking spaces operating in the city. Each one is equipped with 100 work spaces. People rent spaces, business services, and much more. All of this speaks to the demand for coworking spaces among young companies. There are five production technology development centers operating in Moscow. They support small and medium-sized tech companies. Any entrepreneur can work out the technological process in detail, learn about the different functions of manufactured product samples, and get new products certified. In 2017, 354 high-tech companies used services provided by these centers. Enterprises were provided with over 2,600 services related to technological development, trials, and product standardization. There are two regional innovation clusters developing in the city. The first one is located in Zelenograd. It specializes in microelectronics and instrument engineering (190 participants and over 8,000 employees). The second cluster is in Troitsk. It specializes in new materials, as well as in laser and radiation technologies (58 participants and about 6,000 employees). “Regional innovation clusters are cooperations between science, education, manufacturing, and business,” Aleksey Fursin said. In October 2017, Sergey Sobyanin opened the renovated House of the Entrepreneur. The objective of this multifunctional platform is to become a portal for entering Moscow’s innovation infrastructure. 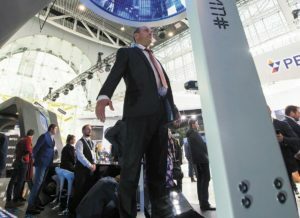 The city is granting subsidies for purchasing equipment for innovation companies worth up to 200 billion rubles, developing infrastructure worth up to 300 million rubles, and provides technology parks and their residents with tax incentives that have reduced taxes by up to 25 percent. The city also supports startups. The Moscow Foundation for Support of Industry and Entrepreneurship provides affordable loans for research and development and engineering projects (up to 50 million rubles with 5 percent interest rates for five years). The Venture Investment Promotion Foundation issues venture loans to startups (up to 30 million rubles). Young scientists receive bonuses and grants for expanding their projects (33 bonuses worth one million rubles each). The city’s departments of construction, healthcare, information technology, transport, housing and utilities lead the way in terms of innovative purchases among executive agencies. Open Inquiries and Manufacturers’ Sessions are important tools for boosting demand for innovative goods. Open Inquiries allow executive agencies to seek innovative solutions for topical utility infrastructure requirements. The city implements the best solutions. In turn, Manufacturers’ Sessions allow manufacturers of goods and technologies to show them to potential clients and to receive feedback. Forty open inquiries have been made to date, with 859 companies suggesting 1,051 solutions. The city has organized 80 events for manufacturers of innovation goods, with 340 manufacturers presenting 444 promising goods or technologies. The city has also developed the iMoscow online navigator for using the innovation infrastructure. This navigator helps entrepreneurs receive information and use various services. The website has an interactive map of infrastructure facilities. Its users can learn more about various services and opportunities in innovation business support, book facilities at technology parks and co-working spaces using their account, and learn the latest news from the innovation sector. This approach towards developing the innovation ecosystem allows Moscow to attract talent, projects and high-tech investment.